This is another book in the Cherry Ames series. In this case she's gotten a job at a girl's boarding school which is basically down on its luck. 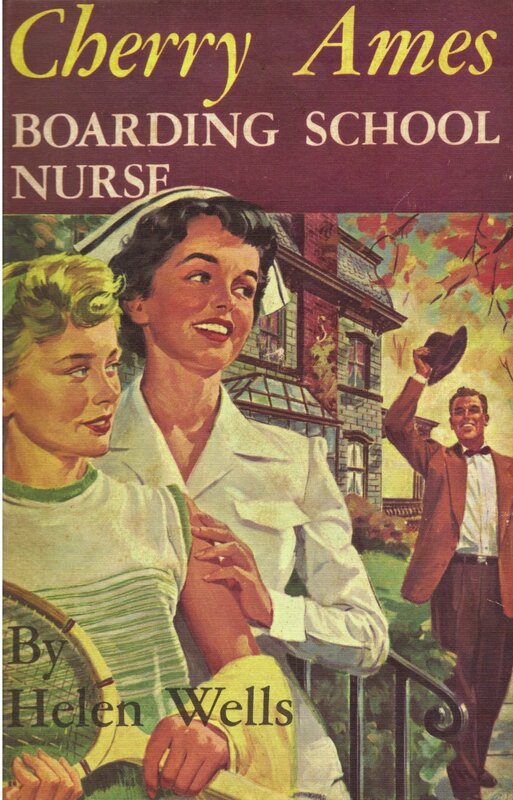 There aren't many students, and most of Cherry's nursing problems are fairly minor. There is a mystery involving one of the girls, though, where she wants to find a formula for a perfume made by an ancestor of hers. The mystery occupies more of the book than the nursing aspects. It's an interesting one, but the book has more of a resemblance to a Nancy Drew-type mystery than the early Cherry Ames books. I'm also wondering if anywhere there's an explanation for why she changed jobs so many times. She always seemed to do good wherever she worked, but she never seemed to last very long in any one place.